It’s hard to believe how far Mass Effect has come over the last five years. When I first heard of it, I was still stubbornly holding onto my PlayStation 2 and ringing it dry for every last bit of enjoyment before finally making the jump to the next generation. It was Mass Effect that broke the camel’s back and guided me into the future of gaming, leading me away from my PlayStation 2 and making me regret the decision to make the Wii my first console of choice. Five years later, and the original trilogy is all finished. Kind of sad looking back at how far this simple little tale of humanity’s best hope against all odds has come. Who could have foreseen the twists and turns that accompanied the release of these games? BioWare going from fan-favorite indie developer to one of the biggest names in gaming. Mass Effect 2 catapulting the series back into the limelight after a few had written the first game off. Of course, the huge controversy surrounding the ending to Mass Effect 3. DLC that was actually worth the asking price, and BioWare realizing that maybe they should be advertising with FemShep as well. With the exception of possibly Assassin’s Creed, no series better encapsulates the lessons and ideas of this console generation, and certainly no series has come close to the quality Mass Effect embodies. This is it. This is the epitome of all we’ve learned and achieved ever since the Xbox 360 launched. That’s why, despite owning all three games already, I am very tempted to drop more money on it just to buy it all over again. Okay, I own them all for my Xbox 360, but with the CD tray jammed shut, the PlayStation 3 has become my console of choice over the last year. But still, the launch trailer is not only exciting and lays out the overall story perfectly, it’s also a fond look back over the last console generation, putting myself back into the time and place I was when I first saw these unforgettable images. Excellent stuff, and I look forward to more Mass Effect from BioWare in the future. 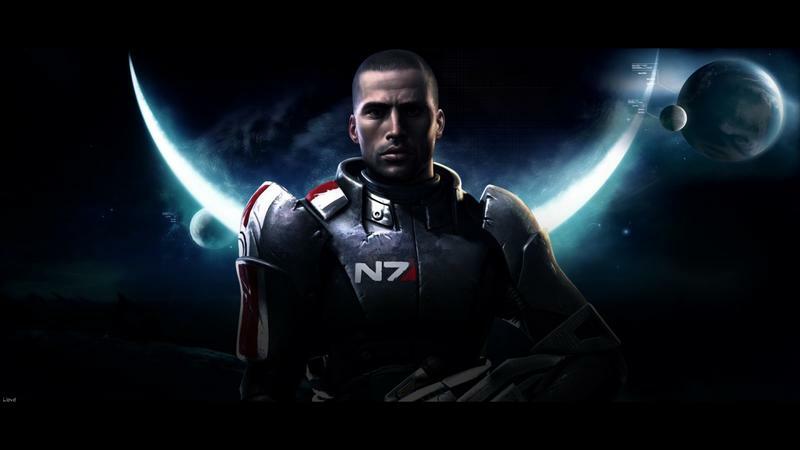 The Mass Effect Trilogy will be released on December 7th on Xbox 360, PlayStation 3 and PC. It will be the first time the original game will be available for the PlayStation 3 platform. The box set will cost $59.99.